Intuitive NANO wallet focused on ease-of-use, speed, and reliability. 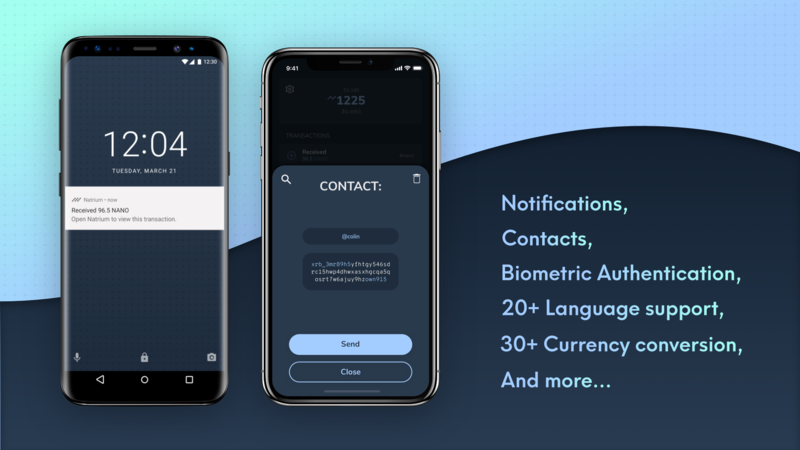 Originally announced in September 2018, Natrium is a mobile wallet for NANO. Natrium has been unanimously praised for it's speed, reliability, and user-friendliness since its initial release on Android - but we still think we can do better. Flutter is a cross platform mobile application framework developed by Google, it allows developers to build apps with native performance that function on both iOS and Android. As we're a very small team, this would help us not only reach even more users - but also reduce our development time significantly as there's only a single codebase to maintain and develop. With flutter, it's also likely we'll be able to get Natrium desktop applications in the future to go beyond mobile. We have already invested hundreds of hours into this, and have been testing and working on the new re-written wallet internally. We are confident that the performance of the new flutter-natrium meets and even exceeds the performance of Natrium on Android. We will work to migrate existing Android users to the new Flutter version sometime in the future, once we are sure that it exceeds the capabilities of the existing app. 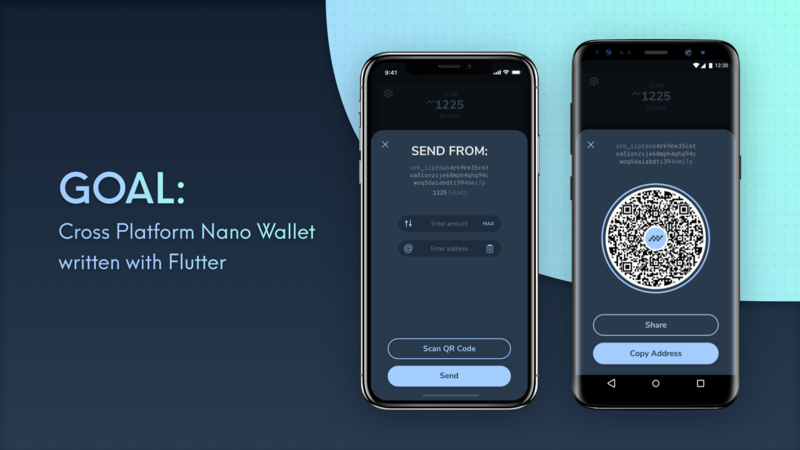 Another benefit of flutter is that, Natrium will be one of the first (if not the first) cryptocurrency wallets written with it - which brings potential exposure to NANO through various flutter development channels and showcases. We wrote a low-level NANO library purely in Dart, to handle all low-level operations of the new wallet (signing blocks, generating seeds, validations, deriving private keys). This is heavily used by Natrium-flutter and has already been open sourced - it is available here. Like so many others, we're very excited about NANO and are committed to it for the long-term. NANO is clearly ahead of the competition - an instant, free, and decentralized currency that is perfect for payments anywhere in the world. Natrium is heavily focused on making cryptocurrency, specifically NANO, as easy, reliable, and fun to use as possible - while also reaching as many people as possible. We have more than 20 translations and more than 30 currency conversions that you can convert to directly in the app. All of these things combined make Natrium a premier tool to use for paying with NANO. We've already accomplished a lot with Natrium - just recently adding a paper wallet redemption feature and deep link support for even easier payments when you're on the go. We've gotten a lot of great feedback and feature requests that we hope to work on (multiple accounts+seeds, secure login, Mnemonic support, etc.) We definitely have a lot more work to do and your support is very much appreciated. Since the beginning - Natrium has been developed and designed for free, made open source, and provided to everyone completely free of charge. This is a model we plan to keep - however, the time and cost involved in developing and designing a cross-platform mobile application (or any mobile application) is not insignificant. So we're reaching out to the NANO community and asking for a little bit of support. A small compensation for our time in terms of development, design, and maintenance. Server costs, also potential upgrades such as adding to a second server in the future (in a different region) - or spinning up more NANO nodes for a higher-availability configuration.